Welcome to Tulsa Family Dental! Our team’s excellent service is complemented with our advanced technology and comforting amenities. By creating a relaxing atmosphere for our patients, you can look forward to the quality dental care in Tulsa, Oklahoma, that we have provided for 20 years. With this immense experience and a comprehensive list of services, patients feel confident bringing in their entire family to see us. 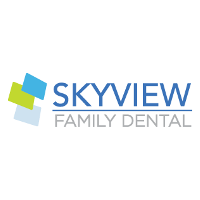 We look forward to continuing the excellent dental service we have provided for generations in the Tulsa, Oklahoma community, and for those in the surrounding areas of Broken Arrow, Sand Springs, Jenks, and Sapulpa, and Owasso, Oklahoma.